K & J is proud to be a member of the National Association of the Remodeling Industry. NARI is dedicated to being the best resource for knowledge and training in the industry. We strive to be leaders in our industry. Although we have won prestigious industry awards, it’s ultimately the satisfaction of our customers that is our greatest accomplishment. 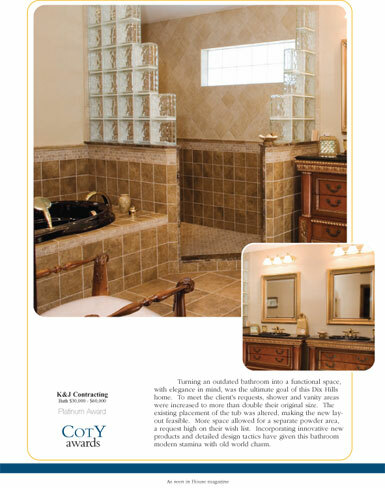 Along with our client testimonials, many of which can be viewed on this website, K & J Contracting is a company rich in its achievements and unmatched in reputation. K&J is a proud member of the National Association of the Remodeling Industry. K&J received the prestigious honor of “Contractor of the Year” in 2004 by the NARI.